Co-op gaming may just be the best way to play together. From side-scrolling retro games to realistic first-person shooters, co-op multiplayer is based entirely on teamwork, building different strategies together, and fighting back against an enemy opponent as a cohesive unit. Be it AI or human, it doesn't matter. It's working together that counts. These days, co-op PC titles are more popular than ever on Steam, GOG, and Origin. But if you're looking for some of the best co-op multiplayer games around on PC, here's where you should start first. We've listed our top picks below, but keep scrolling for more info. Reason to Try PUBG put battle royale multiplayer titles on the map, introducing the genre's core mechanics to thousands. To this day, it's still one of the best realistic co-op experiences available on PC. PlayerUnknown's Battlegrounds is Steam's most-played game, with over one million players hopping online to play regularly. But PUBG isn't just one of the most popular battle royale video games out there. It also provides an incredibly satisfying cooperative experience. 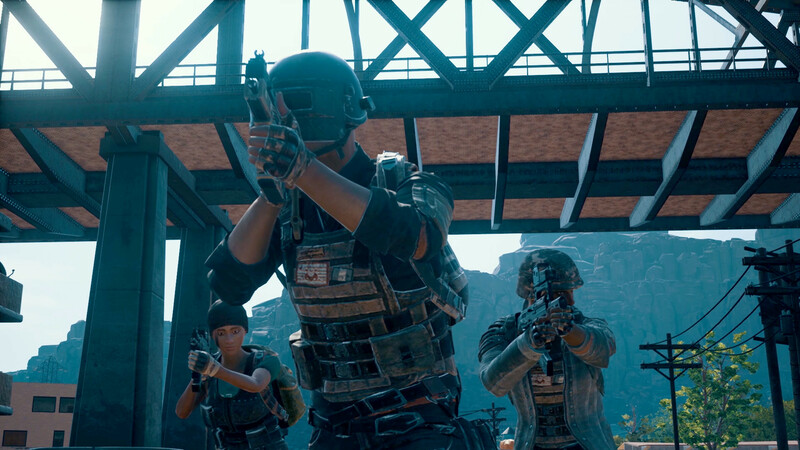 PUBG throws players onto an abandoned island and tasks them with bludgeoning, killing, outrunning, and outmaneuvering their fellow competitors. Meanwhile, the game uses a blue circle to gradually force its remaining survivors together, which usually ends in one-on-one gunfights. The last man (or woman) standing wins. But PUBG doesn't just have solo matchmaking. The game also lets players team up in duos and squads, working together with their friends to wipe out enemy teams while keeping their own alive. As a co-op experience, this makes PUBG incredibly intense. Players have to meticulously communicate with one another, planning out their actions in order to collect supplies, fight off opponents, and prevent themselves from falling out of bounds. PUBG is notorious for its high risk, high reward gameplay, and that makes it an incredibly engaging co-op experience for any group looking for an intense fight to share together. For shooter fans everywhere, don't miss out on this one. Reason to Try This spiritual successor (of sorts) to Valve's Left 4 Dead 2 has reinvigorated the FPS co-op genre. Run through a fantasy world's apocalyptic nightmare scenario, blasting, dicing, and bludgeoning all sorts of monstrous creatures along the way. The original Warhammer: End Times—Vermintide filled a niche left over from Left 4 Dead 2 with its co-op first-person shooter gameplay, pitting players against enemy hordes while working their way through a sprawling level. And Warhammer: Vermintide 2 expands on everything that made the original Vermintide so great. Not unlike its predecessor, Vermintide 2 lets players fight alongside one another while Skaven rat creatures try to stop their advances. Players can choose between 15 different careers as they cooperatively work together in melee and ranged combat against their enemies, advancing through levels and defending one another against wave after wave of oncoming combatants. Unlike Left 4 Dead, Vermintide 2 lets players level up their chosen career and hero with the game's talent tree, and after each match, players are even rewarded with some free loot. Like Warhammer: End Times—Vermintide, Fatshark's sequel throws players into the thick of combat and makes them work together to survive. 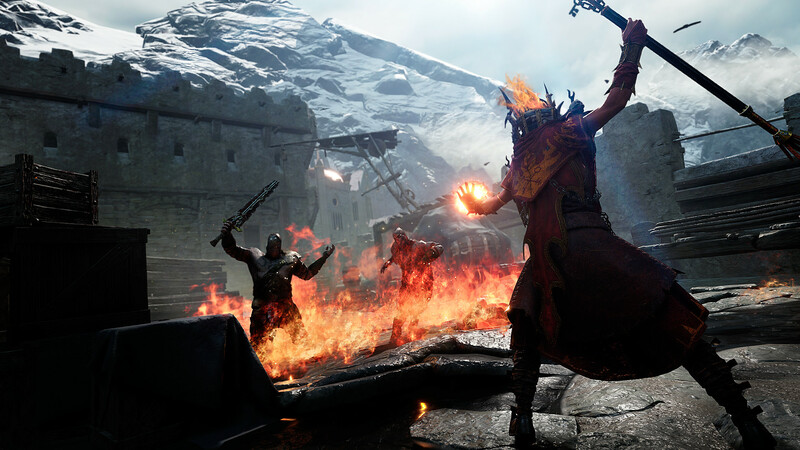 Intense, violent, and occasionally punishing, any online friend group should pick up Vermintide 2 to play on PC—especially if they're eager to experience the sequel's new levels and enemy combatants, the Chaos Army. Reason to Try Rainbow Six invented the tactical FPS genre, and Rainbow Six Siege perfected it. This co-op multiplayer game lets players work together as a counter-terrorist unit in a world where every bullet counts. Tom Clancy's Rainbow Six Siege is based off a simple premise: Bring the Rainbow Six series back to its tactical roots. And as far as multiplayer co-op games go, this one certainly delivers. Rainbow Six Siege throws players into five-on-five matches where counter-terrorist units fight to secure an objective, such as defuse a bomb or rescue a hostage. Players choose between a group of operators with their own unique equipment and work together as a team, planning their attack or defense, depending on what side they're on. And the game offers plenty of close-quarters tactical combat, from breaching walls to fortifying an exposed window. In Rainbow Six Siege, once a player is killed, they cannot respawn until the round ends. This means the game emphasizes constant communication between teammates, whether that means spotting enemy locations or coordinating an offensive push together. Without a cohesive team strategy, it's pretty easy for one's team to quickly fall apart. Like PUBG, Rainbow Six Siege is intense, tactical, and based entirely on teamwork. Yet because matches are so short, playing together is an addicting and entertaining experience, especially for those late-night gaming sessions on the weekends. Reason to Try Work together with a friend to dodge bullets, shoot enemies, and kill incredibly imaginative bosses in this indie shoot-'em'-up inspired by 1920s Fleischer cartoons. Don't let Cuphead's 1920s-esque graphics fool you: This 2D platformer is difficult. 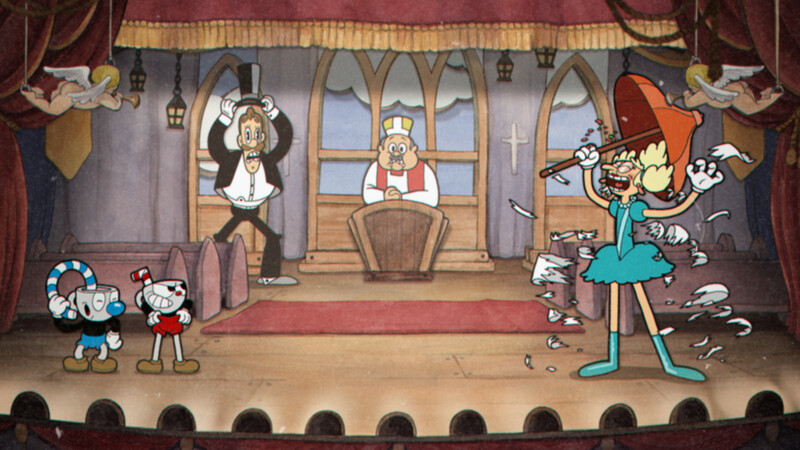 In Cuphead, players star as Cuphead and his brother Mugman, who must collect souls for the devil after squandering their own in a gambling outing gone wrong. The game features a mixture of bullet hell boss fights and run-and-gun platforming levels, and both segments are notorious for their punishing difficulty. Boss fights traditionally take dozens of deaths, and the game requires players to have top-notch reflexes if they want to win. Luckily, Cuphead has co-op. And alongside a friend, that makes the game so much more fun, letting players figure out strategies on the fly and work together as they take down some of the game's hardest bosses. To play co-op together, simply plug in a second controller and take control of Mugman. Unfortunately, Cuphead doesn't feature online multiplayer, so this game simply offers local co-op play for now. Reason to Try Team up with your friends to shoot, maim, explode, and bludgeon thousands of zombie specimens that have taken over Europe in Killing Floor 2, one of the most chaotic zombie horde co-op games to date. The original Killing Floor became a smash hit on Steam when it first landed, introducing players to an addicting, survival-based multiplayer zombie shooter. Players fight wave after wave of powerful mutant enemies, called specimens, and the only difference between winning or losing comes down to meticulous planning. Killing Floor 2 accomplishes everything the original game did and more, as players hunker down across apocalyptic Europe and continue to fight against specimens. These range from the Crawler, a spider-like creature that can walk on walls and ceilings, all the way to the Scrake, which carries an enormous chainsaw that can rip through teammates when he becomes enraged from injury. Boasting improved graphics, better weapons, enhanced mechanics, additional boss fights, and vastly improved gore, Killing Floor 2 is just as fun as it is intense. On the game's harder difficulties, teams have to work carefully together, calling out incoming specimens and coordinating attacks. Otherwise, an entire team can easily fall apart if a powerful, tanky enemy like a Fleshpound isn't taken down. Killing Floor 2 launched out of early access in November 2016, and Tripwire Interactive has since kept the game alive with endless content updates and tweaks. 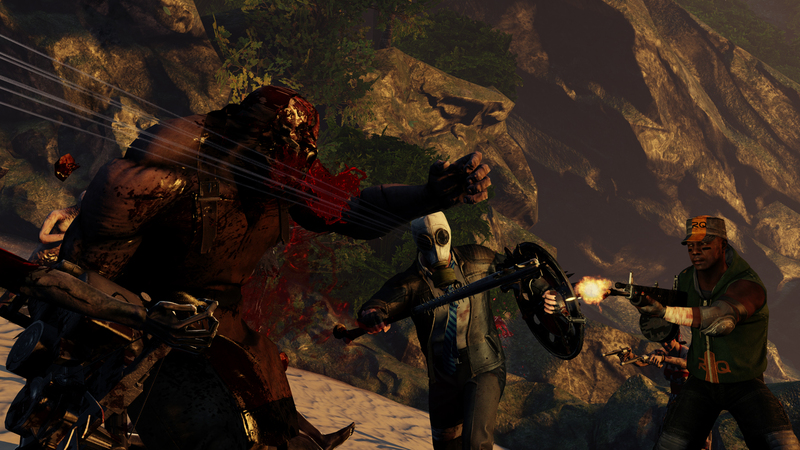 As far as PC co-op experiences go, Killing Floor 2 is easily worth picking up, especially for gamers looking for an action-packed survival horror experience. Reason to Try Work together with up to three other players to cook pasta, sushi, steamed fish, and more in a kitchen where anything and everything can go wrong. Co-op games are an excellent opportunity to indulge in some madcap, stressful hijinks, and that's where Overcooked 2 shines. 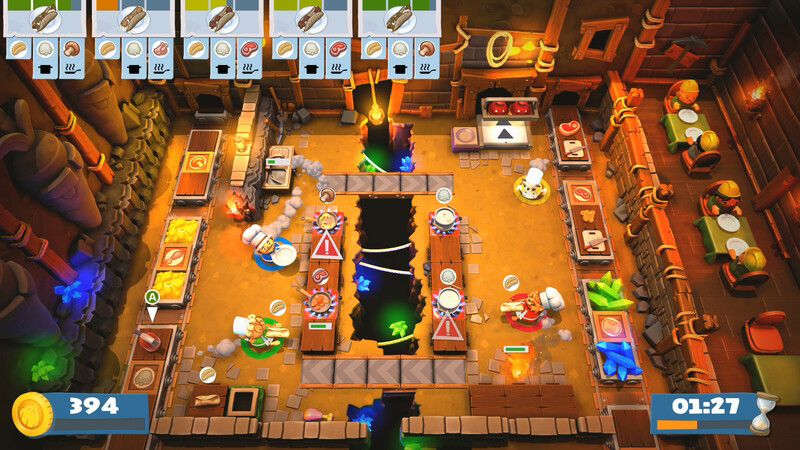 Released by Ghost Town Games and Team 17, Overcooked 2 throws teams of two, three, or four players into a kitchen and makes them work together to serve up orders for hungry customers. Meals range from simple salads to sushi, pasta, and chicken nuggets, and players must use boiling water, cutting boards, hot pans, and more to put together orders while communicating closely with one another. Teams that don't work together end up setting their kitchens on fire. This time around, Overcooked 2 features online multiplayer, letting chefs from around the world cook together or compete in teams against each other. For chefs and chefs-in-training, Overcooked 2 shouldn't be missed. Reason to Try Solve physics-based puzzles or throw your friends off cliffs in this incredibly hilarious physics sim where players can grab onto anything and anyone. Part hilarious physics sim and part co-op puzzle game, No Brakes Games' Human: Fall Flat may just be the strangest PC co-op game yet. 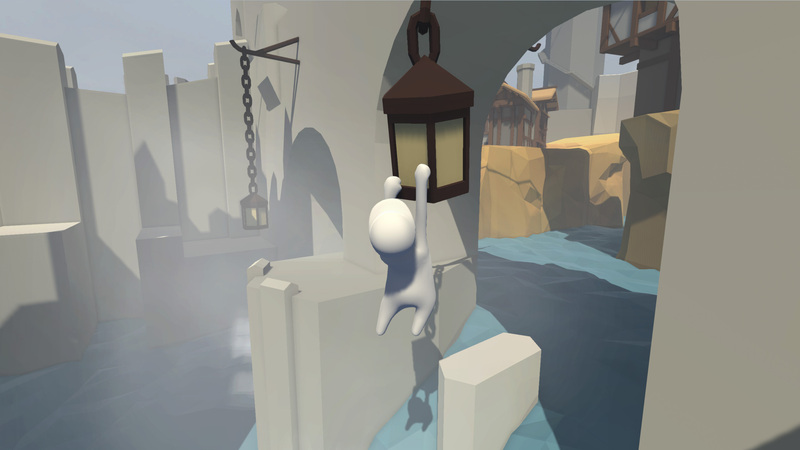 Human: Fall Flat casts players as "Bob," who can use his limbs to grab onto objects and structures, letting him climb up walls, hang off platforms, roll around dumpsters, ride on enormous boulders, or drop down from far heights. Work together with up to seven other players as Bob and his friends team up to progress through levels filled with physics puzzles, from pushing over planks to jumping from floating island to floating island. Of course, Human: Fall Flat stands out because of the game's incredible physics engine. Bob can grab onto anything or climb anywhere, giving players the opportunity to throw objects, hold onto each other, open doors, scale heights, and mess with each other in numerous ways. As far as co-op games go, Human: Fall Flat is hilarious, and it even sports online multiplayer too for friends that want to play from afar. Reason to Try Team up with your friends in Psyonix's Rocket League, a vehicular soccer game where players use their cars to block goals and ram into each other. 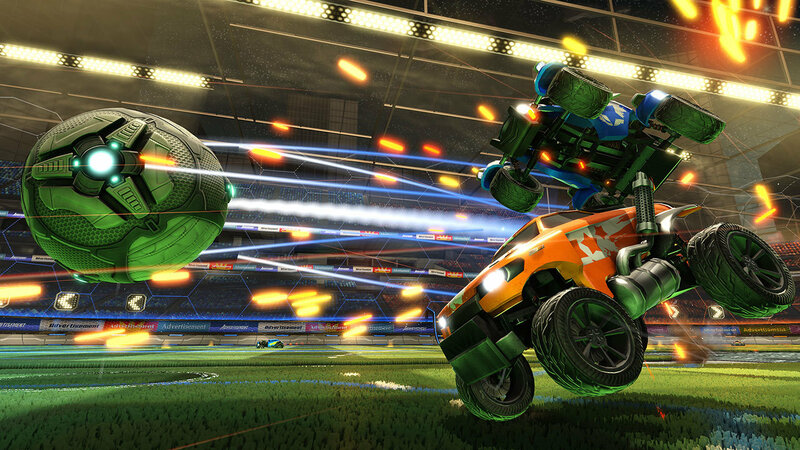 An absolute cross-platform classic, Rocket League is Psyonix's breakout hit combining remote control cars with soccer. In Rocket League, players pilot cars through various stadiums, working with their teammates to line up shots and score goals against their opponents in pairs of two, three, or even four. Instead of just slapping a soccer ball into an arena and calling it a day, Psyonix changes things up a bit with Rocket League by throwing in some neat twists, like speed boosts, mid-air jumps, basketball and hockey modes. Funny, addicting, and intense, Rocket League is a must-grab. For added fun, consider playing Rocket League as a split-screen couch co-op game by using Steam Link to broadcast matches onto your TV. Reason to Try One of the best co-op games on PC to date, Fortnite: Battle Royale pits teams of two or four in a battle royale match where up to 100 players fight to become the last ones standing. How could we mention co-op PC games without including Fortnite? Epic Games' hit battle royale mode has been making waves since its launch in fall 2017, and for good reason. Phenomenon or not, as far as co-op games go, Fortnite: Battle Royale is one of the best. Fortnite drops up to 100 players onto an island threatened by an ever-closing electric storm. To survive, players must stay in the eye of the storm and build miniature (and not-so-miniature) forts to keep out other players. Working together with either another friend or in a team of four, you'll have to outsmart, outgun, and out-build your opponents by scavenging for weapons and materials across the map, going head-to-head with other players in the process. Build a powerful enough fort supported by a decent arsenal, and your crew may just win a Victory Royale. Fortnite: Battle Royale is incredibly addicting thanks to its high-risk, high-reward gameplay. Easy to learn but difficult to master, Fortnite tweaks to the battle royale genre let players hop into a world where every match feels like a distinct test pitting skilled players against skilled players. It's the ultimate skill-based shooter, making Fortnite a co-op game you shouldn't miss.